The French Foreign Legion was established in 1831 as a means for foreign nationals to serve in the French Armed Forces. Today, it is one of the most elite military units in the world with training focused on traditional military skills and focusing on strong unit spirit de corps. 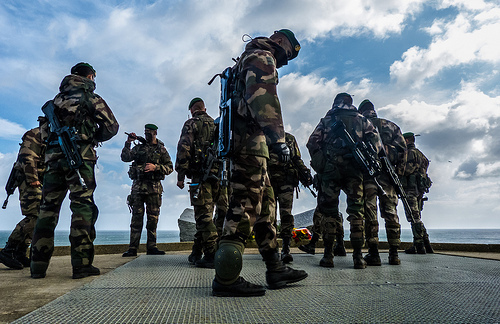 The men of the French Foreign Legion come from across the globe to serve initial service commitments of five years. Many of those who successfully obtain a posting with the Legion, extend on with subsequent enlistments. A common question asked individuals interested in joining the elite service is how to join the French Foreign Legion? the Legion was to work around the restrictions of foreigners serving in the French Army after the 1830 July Revolution. The King’s primary purpose of the Foreign Legion was to remove the disruptive elements of society and to use them to fight the enemies of the state. In order to appease his political opponents, the Royal Ordinance for the establishment of the Foreign Legion specified that the foreign soldiers recruited to service could only server the King and the country outside of France. As a result, the Legion was transferred from Toulon to Algeria to provide reinforcements for the French expeditionary force that had occupied Algiers the previous year. Throughout the 19th century, the French Foreign Legion saw service in protecting the French colonial empire as well as fighting in all major French Wars. 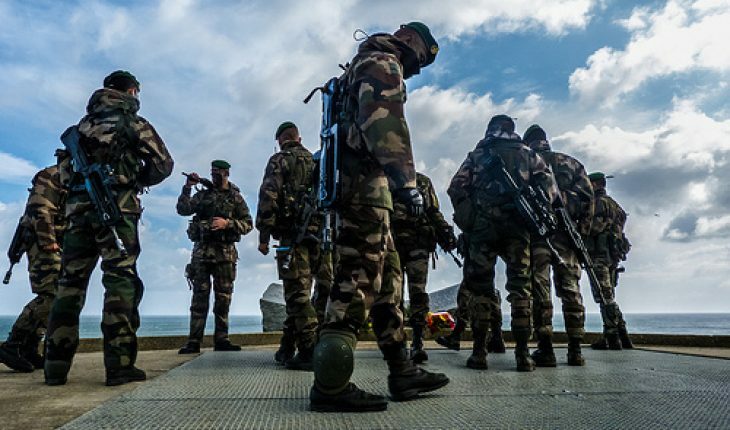 Where Does the French Foreign Legion Operate Today? Today, there are just less than 7,700 French legionnaires and NCO’s that come from 136 countries (including France). Of the 7699 men, there are 413 officers and 1,741 NCO’s at the time of this writing who are further divided into 11 regiments of the Legion. Legionnaires see service abroad as part of NATO and security operations in locations such as Afghanistan, French Guyana, Kosovo, Chad, the Ivory Coast, New Caledonia, Mayotte, la Reunion, and the French West Indies. Previously, the Legion saw action in the 1990-1991 Gulf War, Kampuchea, Somalia (1992-1993), Rwanda (1994), Bosnia, Macedonia (1993-2003), World War 1, World War 2, the Central African Repulic (1996), and numerous other regional and world conflicts. Where Can You Enlist in the French Foreign Legion? How Much Do French Foreign Legion Soldiers Get Paid? The notional first year pay for a legionnaire is 1043 € a month. Through the rank of corporal (first 2-4 years in the Legion), the service also provides uniforms, meals, and lodging at no additional charge to the member. Each soldier also accrues 45 days of leave during a calendar year. The following is an example of the net pay for legionnaires that takes into account average deductions but not the social security deduction. You can expect your pay to vary slightly based on location of service, etc. Step 1 – Determine which of the 11 French Foreign Legion offices that is most convenient for you to visit in person to start your application. The offices are located in: Paris, Lille, Nantes, Strasbourg, Aubagne, Bordeaux, Lyon, Marseilles, Nice, Perpignan and Toulouse. The legion provides directions / map to each of the offices on their recruitment website. Before paying a significant amount of money traveling to a recruitment office, it is advisable to undertake a physical training regime in order to ensure you can pass the Foreign Legion sports/fitness test that is taken after getting through the pre-selection process. Step 2 – After presenting yourself at the information office, you will be expected to provide an identity card issued by your country of residence and within the first year a enlisting a copy of your birth certificate. The Legion no longer accepts convicted felons and runs background checks through Interpol on candidates so be warned before showing up to a recruitment office. Since September 20th, 2010, candidates are no longer required to join the Legion under a declared identity and may use their own name if desired. If you make it through pre-selection, the Foreign Legion will provide room, board, and clothing to get the candidate to the next phase of application (the Selection Process). Step 3 – The Foreign Legion will then have the candidate proceed to Aubagne for a medical check-up, finalize paperwork for the initial five-year contract, and take part in a series of physical, psyche-technical, and personality tests. No matter what the candidate’s marital status is on application to the Foreign Legion, he will be enlisted as a single man for the first five year enlistment contract. Step 4 – If you pass the testing in Aubagne, an unconditional five-year contract will be signed, and the candidate will attend 15 weeks of instruction in topics ranging from Foreign Legion traditions to extensive mountain training for the infantry. French is the only language spoken in the Foreign Legion. Although not a prerequisite for service, basic fluency in the language is known to help recruits proceed through the initial training in the Legion in a bit of an easier fashion while not trying to learn the language simultaneously. Step 5 – Report to duty to the assigned regiment provided by the French Foreign Legion after training is complete. Six of the regiments are based in France, two in Africa, one in Corsica, and one in South America. The regiments can and will be further deployed from their assigned garrison after receiving the post to the regiment. How Does a Declared Identity Work? Prior to 2010, all Legionnaires were required to give up their civilian identity when enlisting in the force. The new recruit was then forced to use a declared identity (or new name) for the first year of service. After the first year, the new Legionnaire could attempt to reclaim their old name through the “military regularization of the situation” process. During this process, new identity papers are obtained from the home country of the solider. Many soldiers choose to serve out their entire five-year career under the declared identity. The declared identity helps provide a consistent point of entry for new Legionnaires in their new service for France. At the time of this writing the Foreign Legion continued to not accept women into their ranks. Are Legionnaires Required to Join Under an Assumed Identity? Since September 20, 2010, Legion recruits have been permitted to sign their contract with their real identity. New members can still choose to ask to sign-up under a declared identity through the commission of selection. French citizens may also join the Legion today which has not always been the case. If a new recruit signs up under an assumed name, he can apply through the military regularization of situation process after serving for a year to obtain his old name again. The Legion will permit soldiers to serve an entire career under an assumed name if they so choose. Unlike other armed forces, legionnaires with less than five years of service are expected to always wear a uniform. NCOS and senior are allowed to wear civilian clothes while off duty. Additionally, a legionnaire is not permitted to purchase a motor vehicle of any type until he has more than five years of service and if not done, undergo the military regularization of situation process. This process is required for all Foreign Legion NCOs and senior as well. In order to get married (or have a previous marriage recognized), the legionnaire must have underwent the military regularization of situation process which is also required to have a civilian bank account. Are Legionnaires Allowed to Go Abroad on Leave? In order to take leave abroad, the legionnaire must have undergone the military regularization of situation process and have a valid passport or identity document. If the soldier intends to visit their home country on leave, they must have fulfilled all mandatory service for the country and not be wanted by the police of their homeland. If not, the Legion will not allow the soldier to visit since that increases the odds of the member inadvertently being declared AWOL from the Foreign Legion. There are some restrictions for leave destinations for Foreign Legion soldiers to include Afghanistan and Iraq as two examples. All French Foreign Legion trainees are required to memorize the seven articles of the Legionnaire’s Code of Honour. For those interested in getting a “leg up” on others, the French and English translations are provided below. Be warned, that simply memorizing the code will not be enough, the new legionnaires are also required to get the vocal synchronization correct as well. Article 1 – Légionnaire, tu es un volontaire, servant la France avec honneur et fidélité. Article 2 – Chaque Légionnaire est ton frère d’armes, quelle que soit sa nationalité, sa race ou sa religion. Tu lui manifestes toujours la solidarité étroite qui doit unir les membres d’une même famille. Article 3 – Respectueux des traditions, attaché à tes chefs, la discipline et la camaraderie sont ta force, le courage et la loyauté tes vertus. Article 4 – Fier de ton état de Légionnaire, tu le montres dans ta tenue toujours élégante, ton comportement toujours digne mais modeste, ton casernement toujours net. Article 5 – Soldat d’élite, tu t’entraînes avec rigueur, tu entretiens ton arme comme ton bien le plus précieux, tu as le souci constant de ta forme physique. Article 6 – La mission est sacrée, tu l’exécutes jusqu’au bout et si besoin, en opérations, au péril de ta vie. Article 7 – Au combat, tu agis sans passion et sans haine, tu respectes les ennemis vaincus, tu n’abandonnes jamais ni tes morts, ni tes blessés, ni tes armes. Article 1 – Légionnaire, you are a volunteer serving France with honour and fidelity. Article 2 – Each legionnaire is your brother in arms whatever his nationality, his race or his religion might be. You show him the same close solidarity that links the members of the same family. Article 3 – Respectful of traditions, devoted to your leaders, discipline and comradeship are your strengths, courage and loyalty your virtues. Article 4 – Proud of your status as Legionnaire, you display this in your always impeccable uniform, your always dignified but modest behaviour, and your clean living quarters. Article 5 – An elite soldier, you train rigorously, you maintain your weapon as your most precious possession, and you take constant care of your physical form. Article 6 – The mission is sacred, you carry it out until the end and, if necessary in the field, at the risk of your life. Article 7 – In combat, you act without passion and without hate, you respect defeated enemies, and you never abandon your dead, your wounded, or your arms.